What stories are being created by local children's writers? If you were one of the crowd at the 2017 Celebrate Story Creators Night hosted by The ACT Branch of the Children's Book Council of Australia then you are now up-to-date. For those of you who missed out here is an overview of the night. Emma Allen likes to write a 'slippery piece of writing,' where she uses words in new ways that gives them a creative force. She won the CBCA Book of The Year: Early Childhood award in 2013 with her first published picture book The Terrible Suitcase. This book has recently been translated into Chinese, Japanese and Korean. Allen's third book Grandma, the baby and me was featured on ABC's Playschool in an episode about 'Faces and Feelings'. 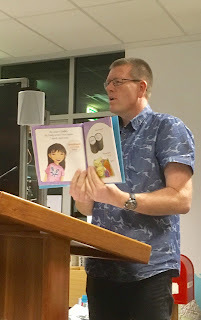 Allen is currently undertaking a PhD in Children's Literature at the University of Canberra. She likes to find new ways to do things. Things that matter deeply to her and that add to her creative drive. Her next book will be released in 2018,Digby and Claude, set in the 1930s. If it like Allen's previous books it will be amazing. 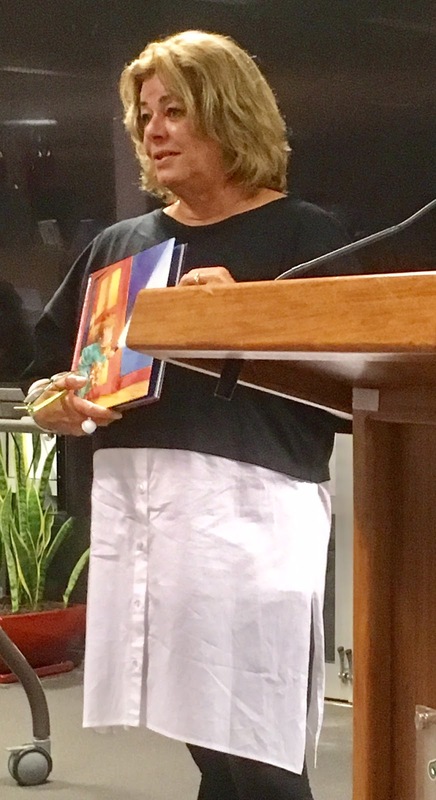 Dyan Blacklock once said 'Be brave and amazing,' author Cate Whittle remembered this quote and persisted in getting her first book Trouble at Home published. When she got the book deal she was asked if it could be a series? She took the plunge and quickly wrote some potential book outlines. Now the fourth book of the series, Trouble and the Exploding House will be released in August 2017. 'I feel like one of the luckiest authors around,' says Whittle and this because her Trouble series is illustrated by two great names in Australian Children's Literature; Kim Gamble illustrated the first book in the series, Trouble at Home.Gamble passed away just before the book was released in 2016 and it was probably the last book he illustrated. Whittle's 'luck' continued with the subsequent books in the series being illustrated Stephen Michael King, one of Gamble's friends. Children delight in the magical and creative stories woven by Whittle. Tony Flowers likes to work in a free and creative way with very little preliminary drawings. He is an illustrator and an author. He has illustrated many books in collaboration with Nick Falk, including the Samurai vs Ninja series which has been translated into Swedish. These stories take 6-12 months to produce but on occasion some have taken only two months to develop. With Falk now living in England Flowers is currently collaborating on a new chapter book series with R.A. Spratt, author of Nanny Piggins. As a young child Flowers liked Richard Scary illustrations and recently he began working on a picture book where some of the illustrations has a Scaryesque look about them; animals driving vehicles. If you follow him on Facebook you might have already seen some of these drawings. Flowers' first picture book Hello! (NLA Publishing) is a 2017 CBCA Notable book. Unlike his other books this one took 2 1/2 years to create. Why? 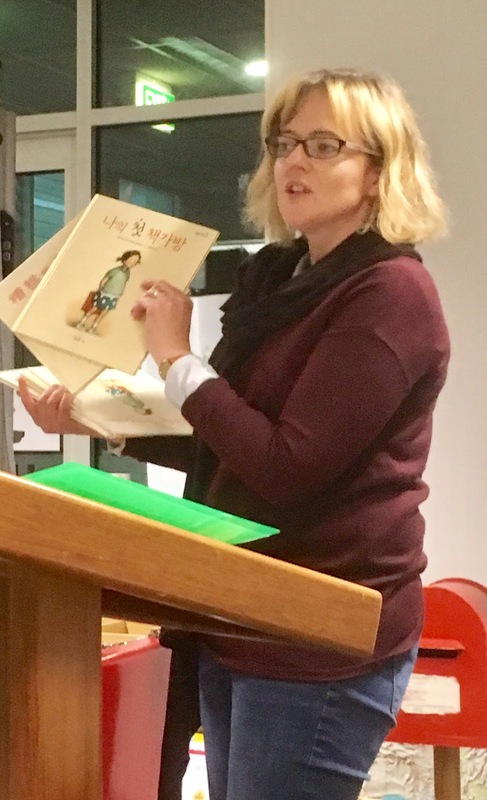 Due to the book's inclusion of 12 different multicultural backgrounds cultural advisers were required to ensure the rigour of the book's information in both words and pictures. The book highlights games, food, traditional clothing and how to say hello, goodbye and how to count in each language. Gina Newton is passionate about biodiversity, conservation and wildlife and she likes to highlight these themes into her stories. As a trained marine biologist and ecologist, with a Masters in Science Communication, Newton uses her expertise in helping tell entertaining stories to children. 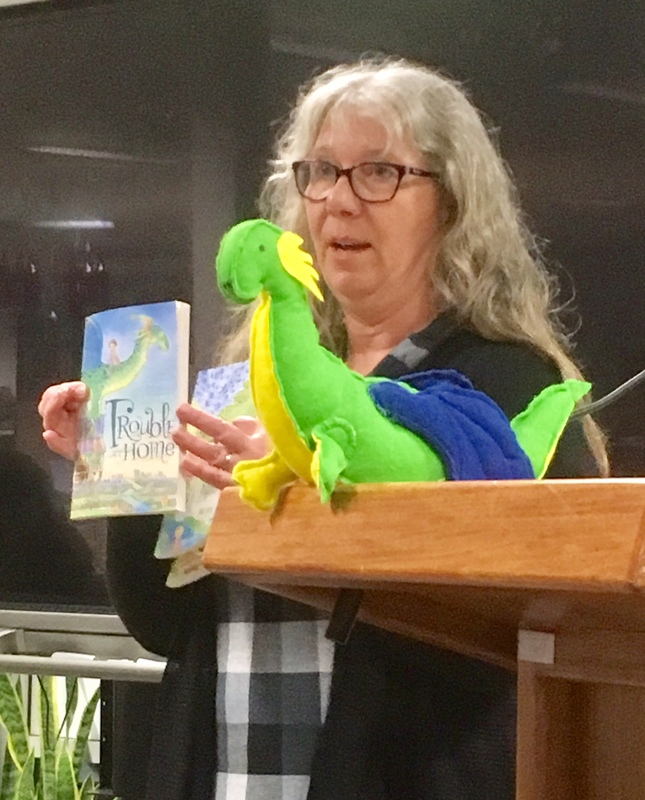 As a child she loved the story Chicken Little but she wanted to write a version that had a happy ending with the inclusion of Australian animals, Blossom Possum was born and it has sold 135,000 copies since it was released in 2006. 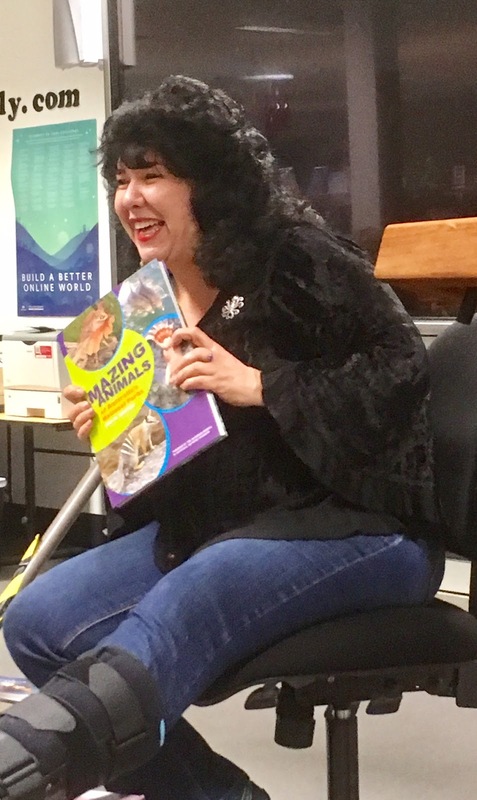 Her most recent book release Amazing Animals of Australia's National Parks, is shortlisted for the 2017 CBCA Book of The Year Awards: Eve Pownall Award for Information Books. It is accessible to children aged 8-12 years old, hence it uses lots of visuals to convey the information while having a small word count. The information in this book has been checked by experts in the field ensuring that it is accurate and up-to-date. 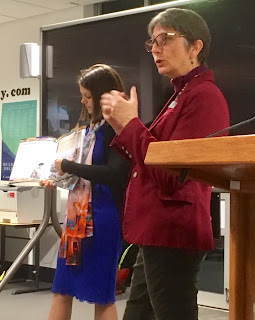 CBCA ACT Branch members are hoping that this book will be the second Eve Pownall Award winner for an ACT writer. From Picture books to crime writing. 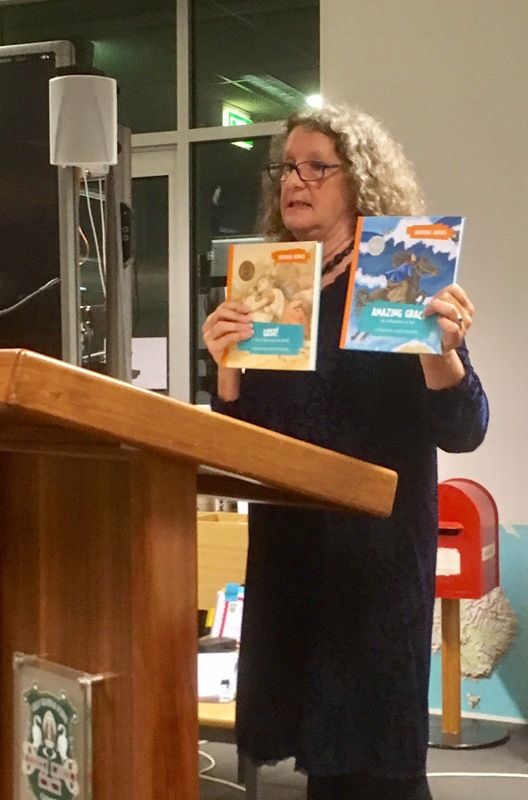 Tracey Hawkins has written a variety of books from picture books like Max meets a Monster to the award winning book about Nancy Bentley: The first Australian female sailor. But her passion is for crime writing. Hawkins' passion for crime writing began in her childhood, her father was a policeman. As a child it was clear in her mind that she was interested in two careers paths, one teaching and the other being in the police force. In fact she did both and now she combines what she has learnt into her writing career. She teachers courses in writing children's books and crime fiction, often online. She is currently writing an young adult crime novel that includes; death, secrets, betrayal, deceptions and jealousy. In the story there is one detective to solve the crime along with three victims and four suspects. At the moment she is spending hours and hours writing her novel, sometimes 12 hours a day. There will be 4 more books in this series including one due for release in early 2018, Marvellous Miss May, Queen of the Circus. This story outlines the story of May who was given away to the circus at the age of seven. The book will feature information about May and the Australian circuses in the early 1900s. Some of the source material comes from circus posters held in the National Library of Australia collection. Reeder has recently signed a contract for a new picture series (not with the NLA) that will be historically based and features Australian icons. The first book will be set at Bondi Beach. Another historical writer is Anthony Hill, who released his first book in 1985. 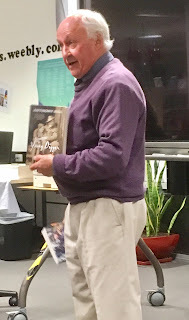 Students and teachers mostly know Hill for his stories The Burnt Stick and Solider Boy but during his writing career he has naturally moved towards writing books for adults. This audience age shift in this writing has been for artistic reasons, most notably due to content. In the editing process for the book Captain Cook's Apprentice he was told that due to the age of the readers he couldn't describe the main character's relationship with a Tahitian lady using the words 'and they loved each other.' To clarify he said, 'so I can say they hate each other but not they loved each other?' and the response was 'Yes.' In 2018 this book will be released as a young adult edition. Other books by Hill, including his wartime themed books, have begun to be published as adult editions, including;Animal Heroes and Young Digger. 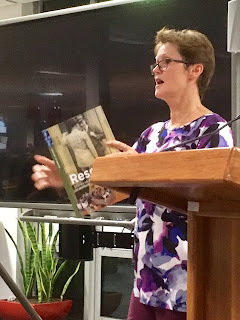 When looking for stories about wartime experiences the series A Century of Service published in collaboration between the Australian War Memorial and the Department of Veterans' Affairs is a good starting point. Publisher, Merrillee Chignell and authors, Robyn Siers and Carlie Walker have used themes from the stain glass windows from the Hall of memory as way to introduce students to personal wartime stories that link to items in the the Australian War Memorial collection. Two more books that that are currently being written are Decision and Comradeship. 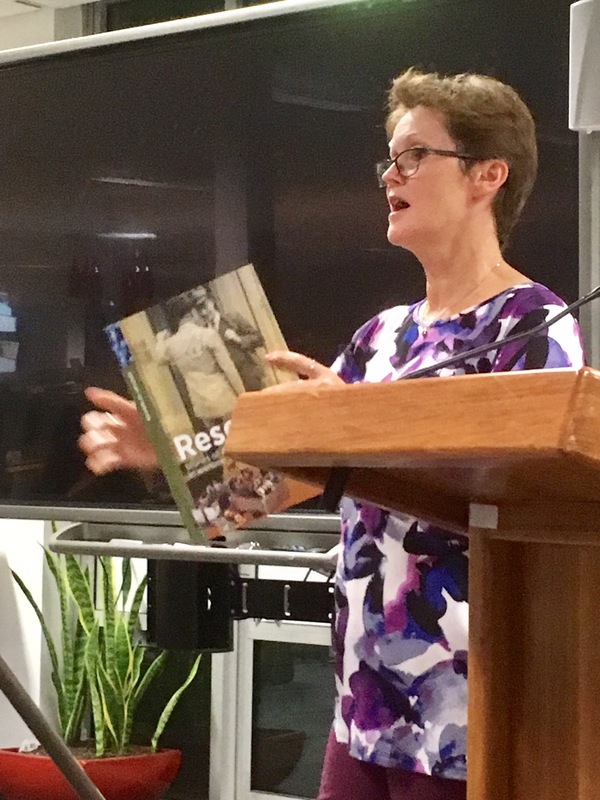 A resource about wartime that is more accessible for students at the junior primary level is the book Here they come: A day to remember published in 2016 by the Canberra Department of Veterans' Affairs. This book will be available to schools in 2018 as an animation in collaboration with cartoonist Warren Brown. 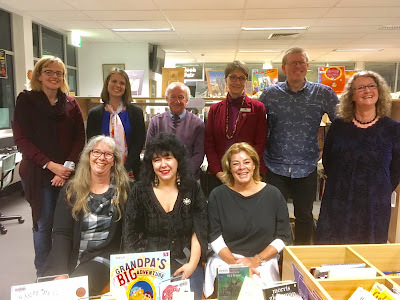 To find out more about these story creators see the CBCA ACT Branch Authors and Illustrators page.